This makes it the largest supplier of oil to the U.S.! This means that Canada is United States’ main black crack dealer! 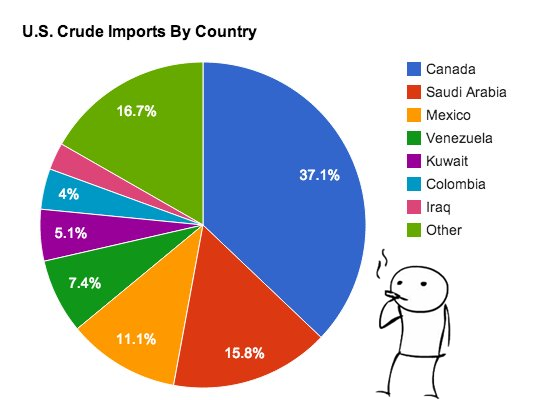 Also, take note that Canada’s economy is dependent on exports, with about 85% of its exports going to its big brother down south, the U.S.
Because of this, USD/CAD can be greatly affected by how U.S. consumers react to changes in oil prices. Some forex brokers allow you to trade gold, oil, and other commodities. There, you can readily pull up their charts using their platforms. You can also monitor the prices of gold on Bloomberg. You can likewise check the prices of oil on Bloomberg as well.